The lion in question, 14 year old Tomo, needed a scan to examine infection in his gums. The infection was then treated with oral antibiotics. Finally, a heartwarming story of paramedic Mohammad Alaa Aljaleel who had built s cat shelter ion Aleppo but was forced to evacuate the city after heavy shelling. He has rebuilt and now has a veterinary clinic which treats all types of animals for free and people of all ages can visit to play with the cats. This entry was written by whyevolutionistrue and posted on April 14, 2018 at 8:00 am and filed under Caturday felids. Bookmark the permalink. Follow any comments here with the RSS feed for this post. Both comments and trackbacks are currently closed. 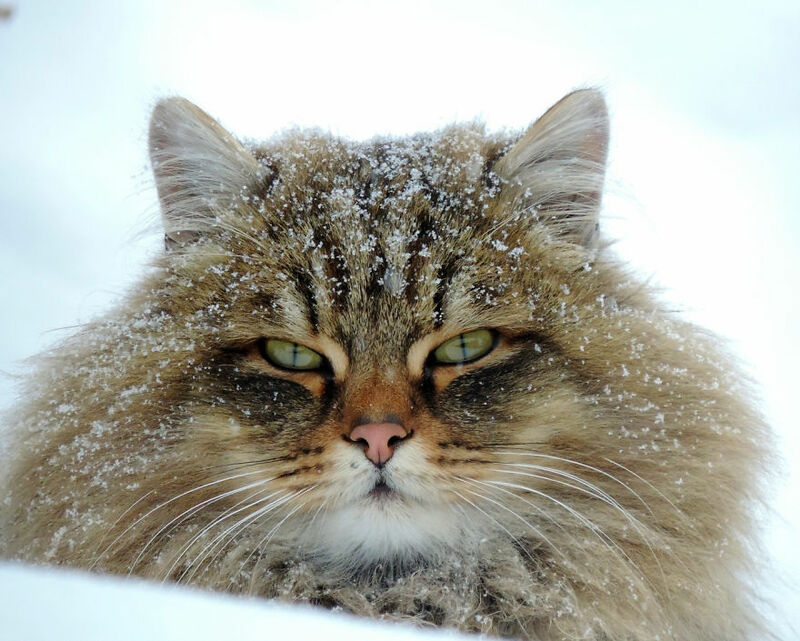 I *love* the fur on those Siberian kittehs. I guess they need it in winter. 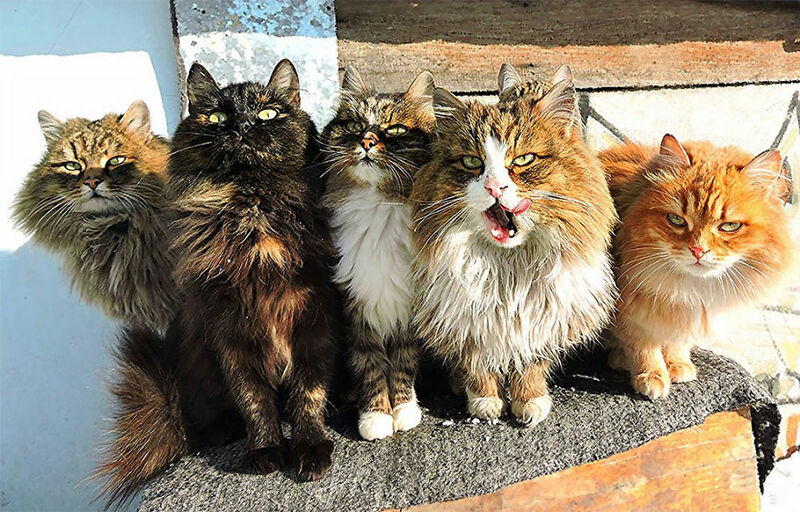 They’re a magnificent-looking bunch of moggies. One of the top ones looks as though he’s sampled a hen in the henhouse. A mate has a siberian (or vice versa). He is a really nice cat. They are big old things though. Definitely feel it when he decides to sit on you. The lion had a scan, and only then antibiotics were admininstered? Why not the other way round? Much cheaper, and less risk to the life of the lion from the sedatives. There must be more to the story.